This majestic model is inspired by the work of Vincenzo Panormo. 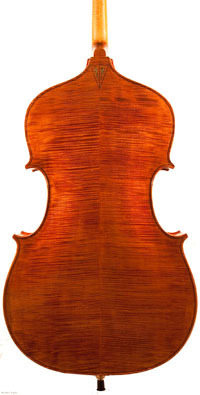 The instrument features a highly figured Austrian Maple carved back with matching ribs, neck and scroll. The carefully selected spruce is from the St. Moritz region in Switzerland. 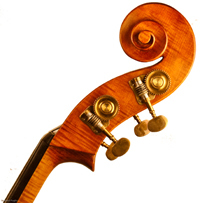 The machine heads are Benedict’s own design and help to crown this unique Double Bass. 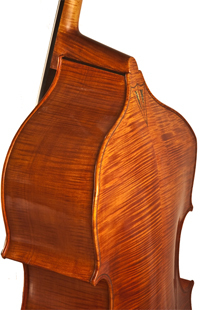 Benedict’s many years of acoustics studies, coupled with decades of making, restoration and repair work on the Double Bass have all been applied to this instrument to produce a truly playable and beautiful sounding Double Bass. A POWERFUL INSTRUMENT! 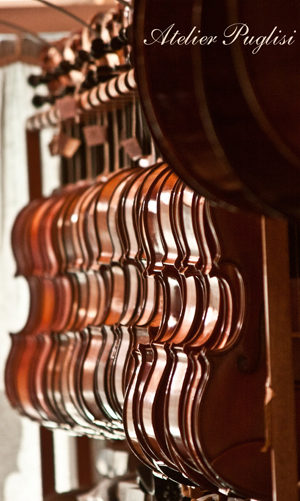 Visit www.benedictgpuglisi.com for more information about Benedict Puglisi's instruments. Sold to a very lucky person! !